Have you ever been surprised to find that you can't play certain M4V files on your iPhone despite all your efforts? Yes, it happens. Generally M4V is iPhone natively supported format but only provide that it's bought or downloaded from iTunes. 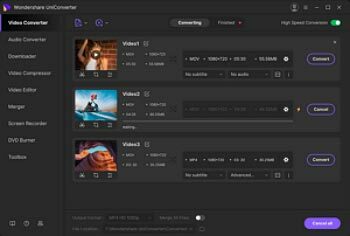 There are also M4V files being wrapped in M4V container, but the inner content of which may not be produced by Apple Inc., thus its encoder, resolution, bitrate, frame rate, etc. can't be recognized by your iPhone ( also on the new iPhone 7s/ 7 Plus ). 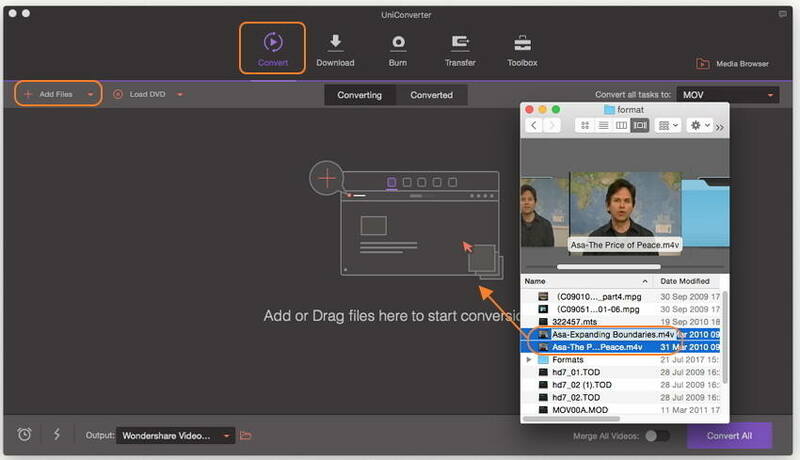 To solve this problem, a solid and intuitive video converter - Wondershare UniConverter for Mac (originally Wondershare Video Converter Ultimate for Mac) (or Wondershare UniConverter (originally Wondershare Video Converter Ultimate) for Windows) is introduced to convert M4V files to iPhone supported format in just 3 simple steps. Please read on to get details. Step 1 Add M4V files to the M4V to iPhone video converter (the new iPhone 7/7 Plus included). Directly drag and drop the M4V files into the program window. Go to Add Files on the main interface and then choose M4V files from the pop-up window and click Load button to add these M4V files. 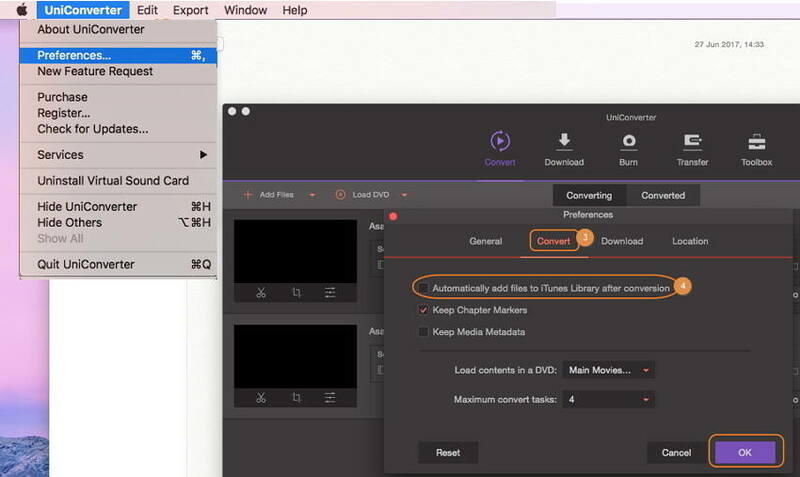 Tips: If you fail to import your M4V files, you can use this media converter to remove the protection first. Step 2 Select the output format for your iPhone (iPhone 7/7 Plus included). Click the inverted triangle beside Convert all tasks to, then you'll open its output format window. Go to the Device category > Apple, where you'll find optimized presets for every iPhone model: iPhone 7/7 Plus, iPhone 6s/6s Plus, iPhone 6, iPhone 5. Now, just choose your special iPhone model. If you are not satisfied with your video effect, your can cut the black edge or rotate the video etc. with its embedded editing functions, you can refer to User Guide for more details. When everything goes as you like, hit on the Convert All button and leave the M4V to iPhone converter finish the rest automatically. When above conversions finished, you can import the converted files to iTunes smoothly and then sync to your iPhone to enjoy them on the go. Tips: You can choose the converted files being added to your iTunes automatically, just go to Preference > Convert and then check out "Automatically add files to iTunes library after conversion".